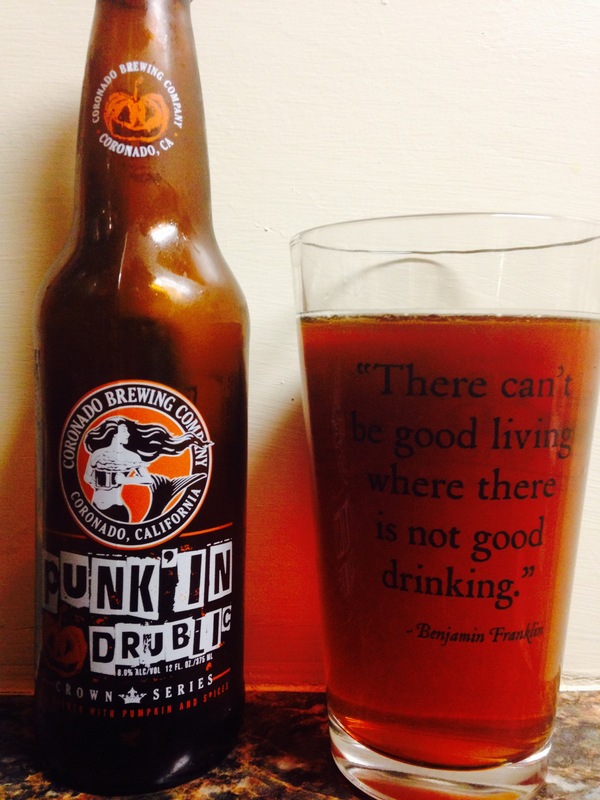 Coronado brewing company, Coronado, Ca brings us “Punk’In Drublic”. It smells like banana nut bread which is nice but not really pumpkin. The taste is pumpkiny but the 8.0% alc content makes the taste a little hard! So it’s a hard pumpkin beer! If you like high alc content than give this a try! 3.5 stars.